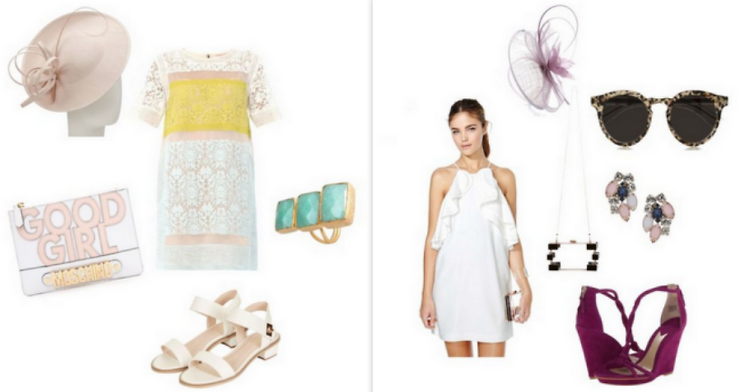 What To Wear: A Posh Day At The Horse Races! There's nothing we love more than combining the art of dartying (and yes, it truly is an art to be mastered) with our flare for fashion! The slew of horse races coming up gives us the chance to take advantage of the fun fashions that horse races are infamous for! Whether you have tickets for Gold Cup, Preakness or the Kentucky Derby, we have five ensembles that seamlessly blend the traditional race day style with this season's top trends. And of course, the statement hat cannot be left at home!